Blowout Sale! 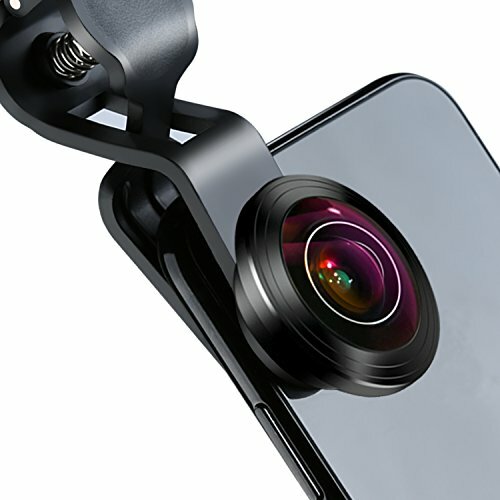 Save 51% on the Wide Angle Super HD 4k Full Screen Universal Fisheye Lens 238 Degree Field of Super View Lens(No Dark Circle) for iPhone X/8/7/6, Samsung & Other Android Phones by Zeshbit at DJ Luu. Hurry! Limited time offer. Offer valid only while supplies last. PORTABLE BAG: The storage bag is very sturdy and portable.It is easy to carry when you are outdoor and gives your lens extra protection that prevent your phone lens from shock and water resistant.The unique packaging design also a good choice as a gift. If you have any questions about this product by Zeshbit, contact us by completing and submitting the form below. If you are looking for a specif part number, please include it with your message.